You’ve heard of a 3D printed engine, a 3D printed bionic arm, and hey, even a 3D printed pizza. Well, Dubai is now upping the ante. The Emirate has put forward designs for an office building that will be constructed using materials from a 3D printer. According to a statement released by the UAE National Innovation Committee, the one-story prototype building will have approximately 2000 sq. ft. of floor space, and will be printed layer by layer by a 20-foot tall printer. While the use of 3D printed structures is expected to reduce construction time by 50-70% and labor costs by 50-80%, the building itself is set to be assembled onsite in a few weeks, with interior furniture and components also planned to be 3D printed using a mixture of reinforced concrete, gypsum reinforced glass fiber, and plastic. 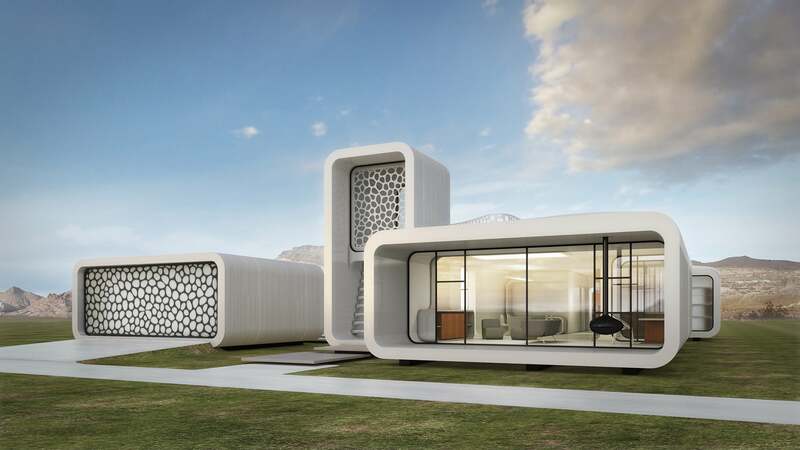 The project is a result of a partnership between Dubai and Winsun Global, a China-based 3D construction company that was behind the first 3D printed six-story villa in the world, as well as international architecture and engineering firms Gensler, Thornton Thomasetti, and Syska Hennessy. The building will serve as a temporary office for the staff of the Museum of the Future, an initiative by H.H. Sheikh Mohammed bin Rashid Al Maktoum, while the museum is being constructed.